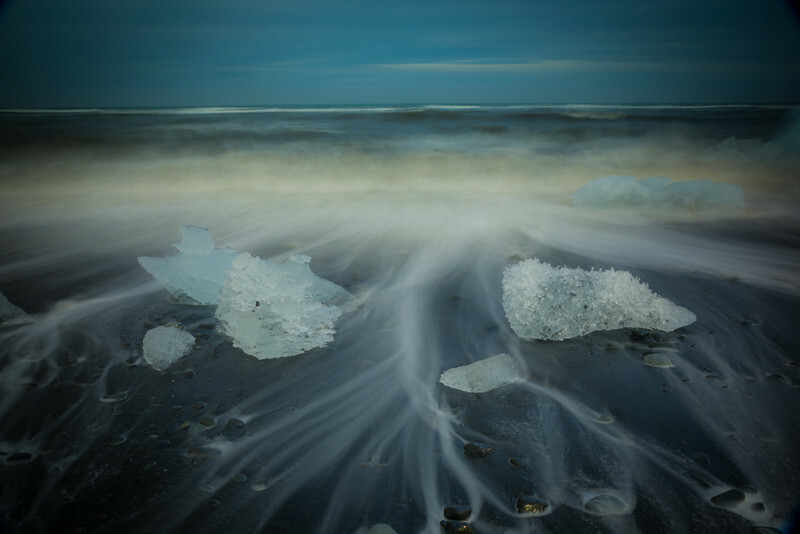 Sea water flowing past the ice on a beach in Iceland. 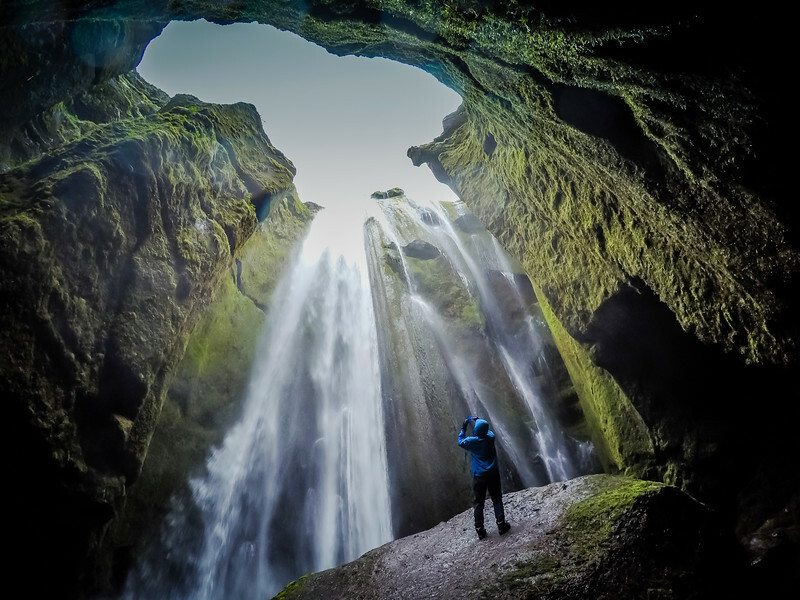 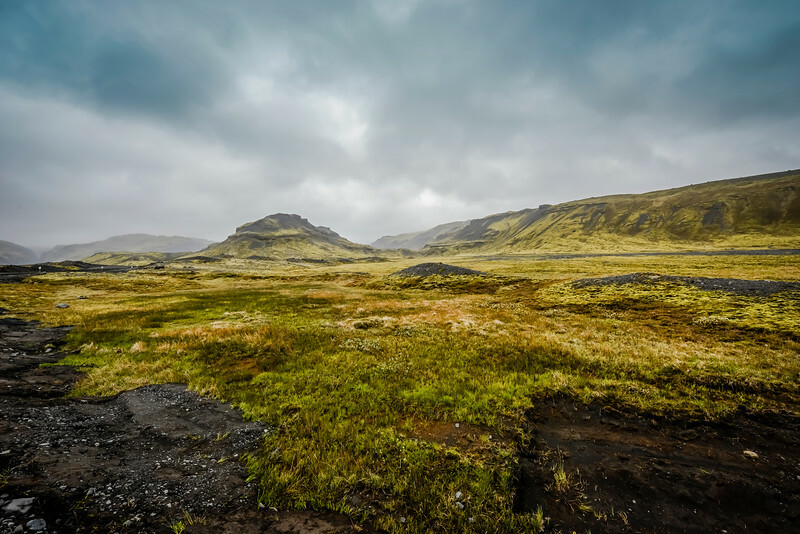 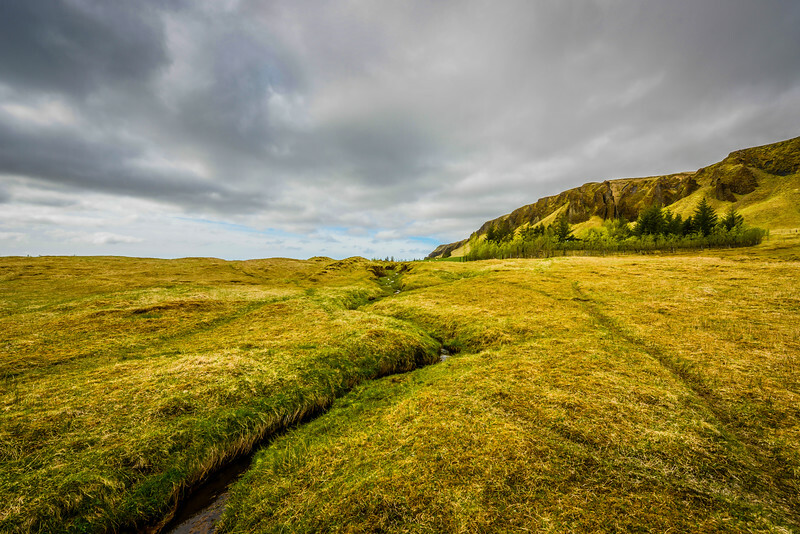 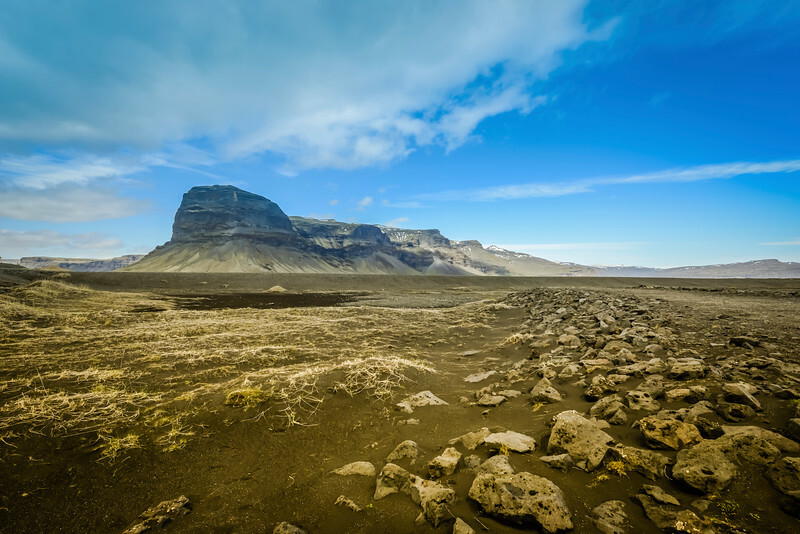 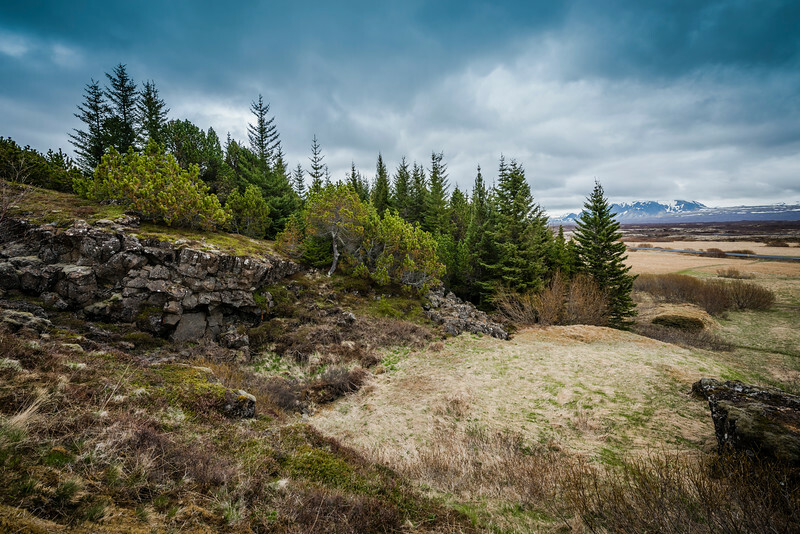 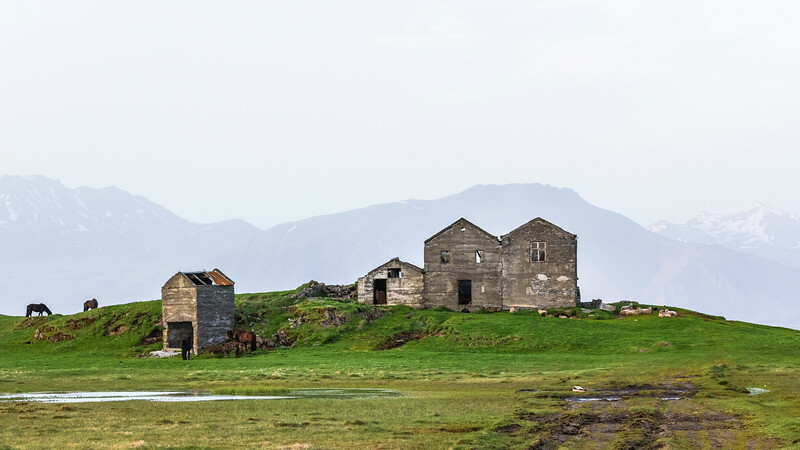 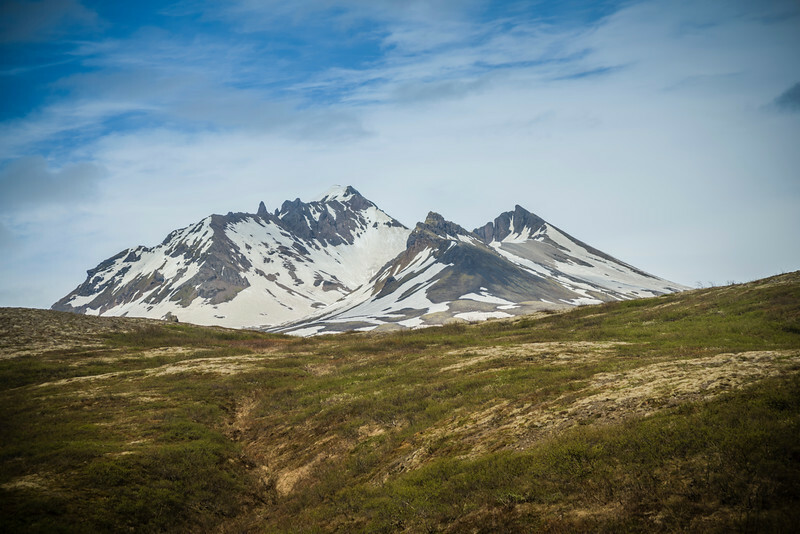 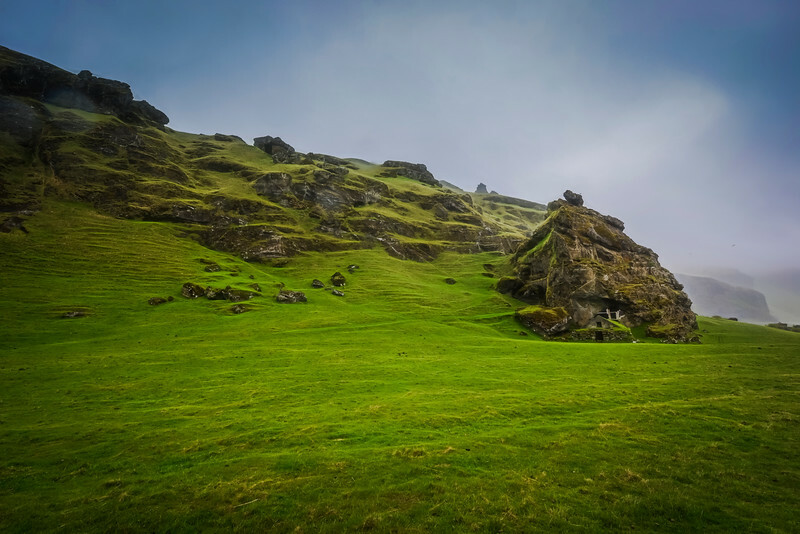 Mossy terrain in Iceland where the trees are few. 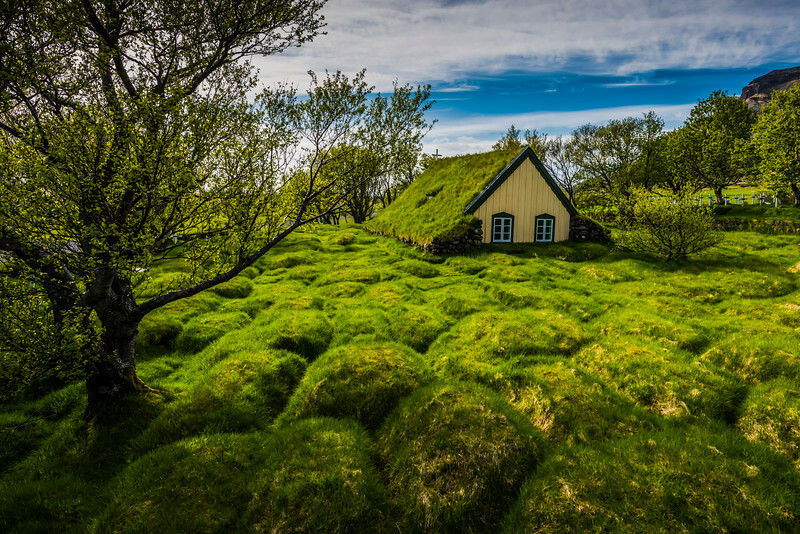 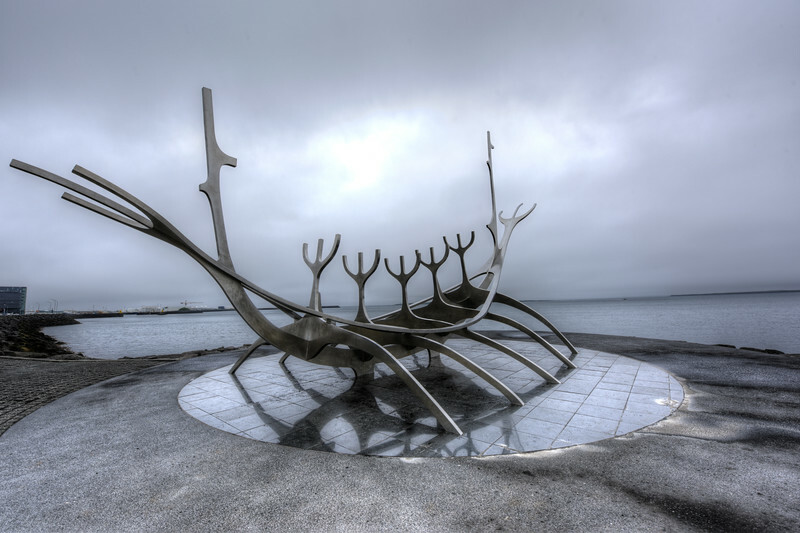 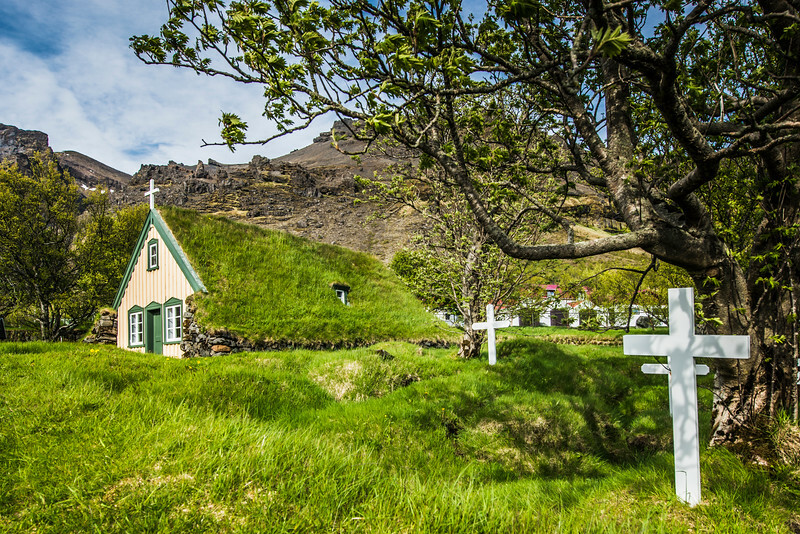 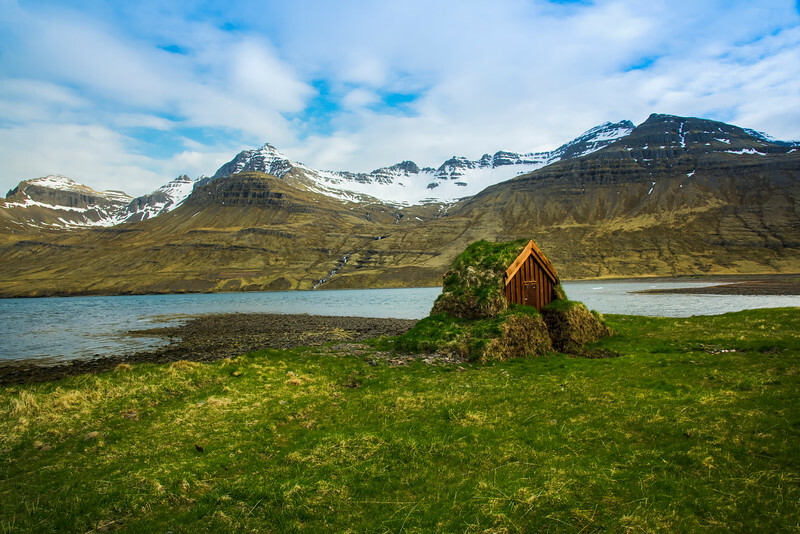 A sod roofed church in Hof, Iceland. 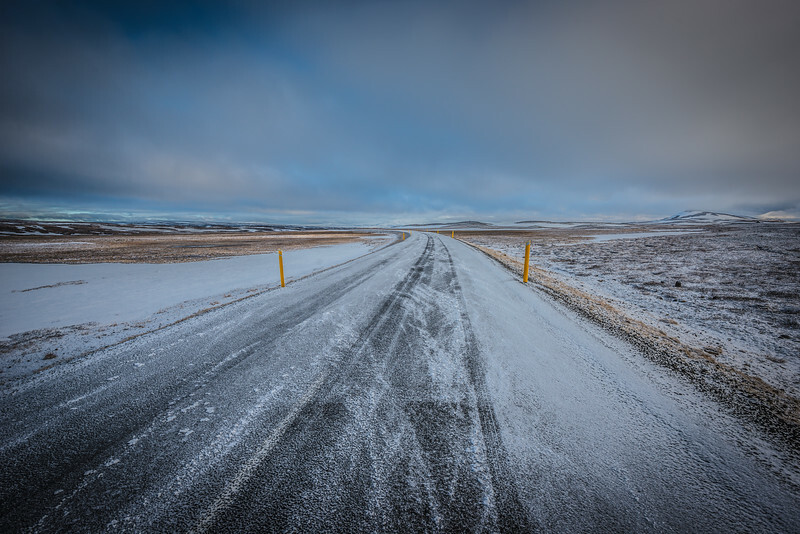 A road, in Iceland, covered with a light dusting of snow in June. 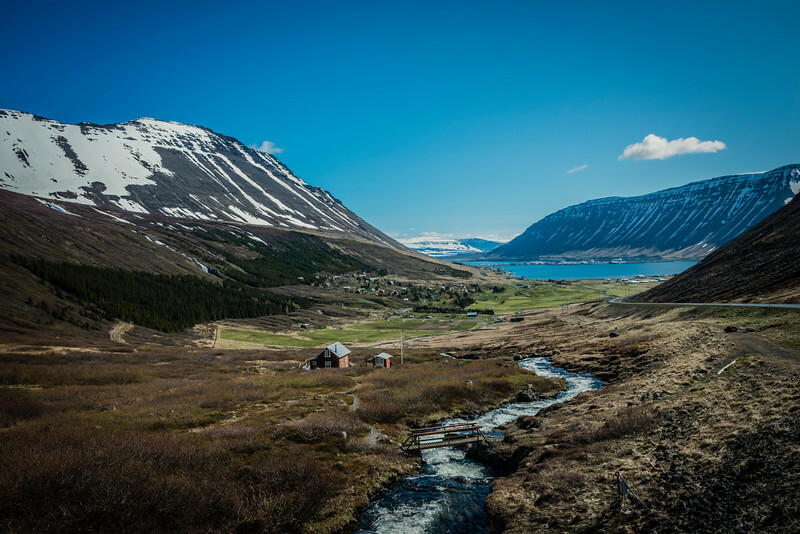 A stream flows past a community to the fjord below. 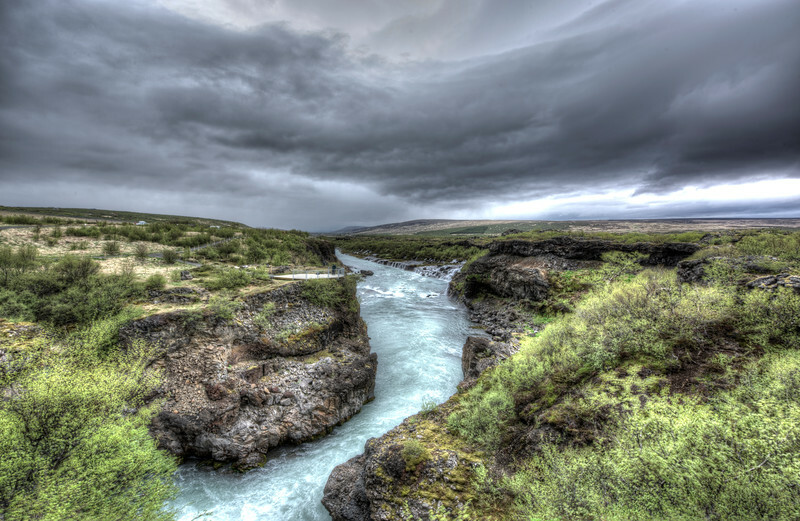 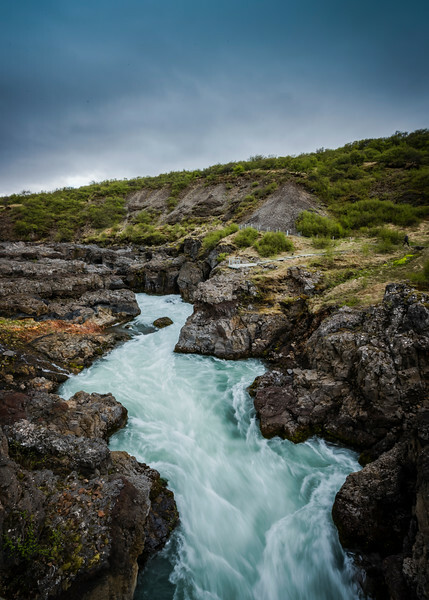 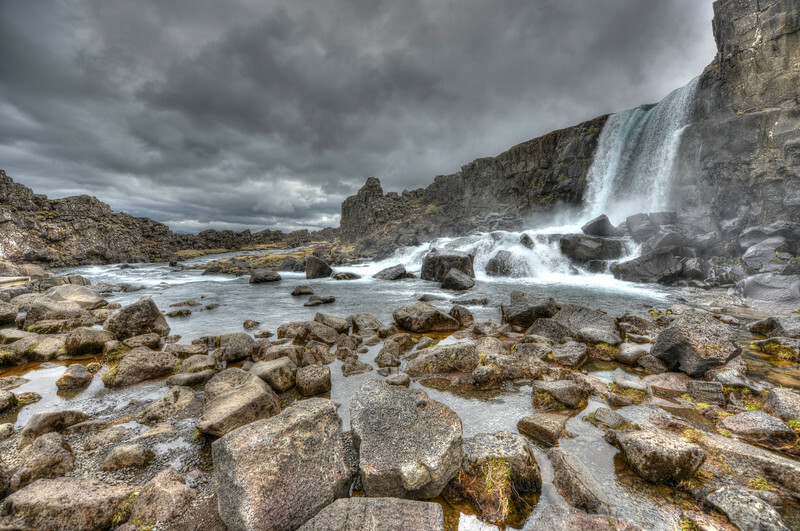 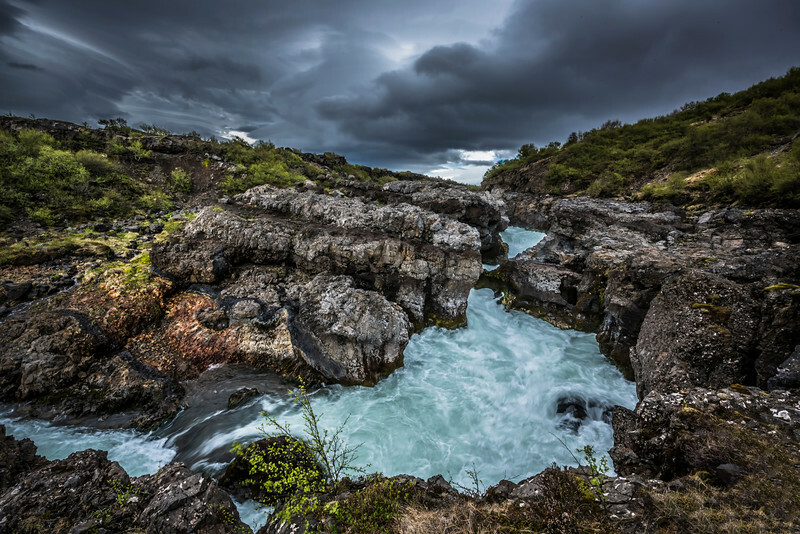 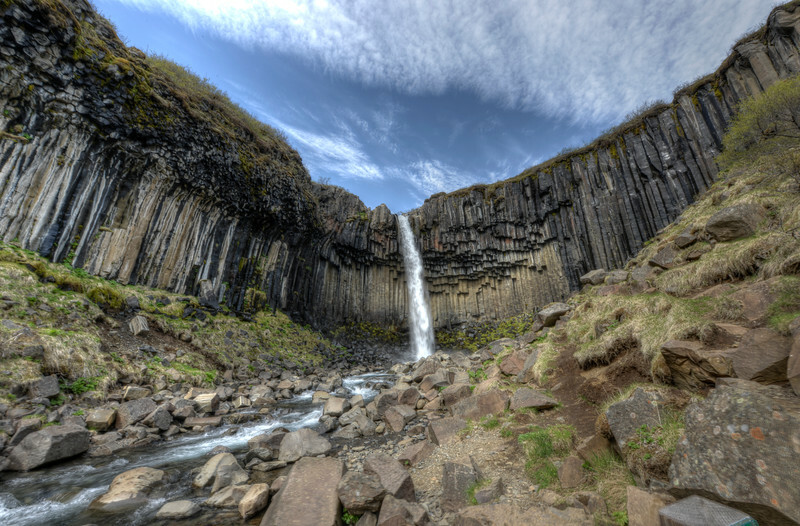 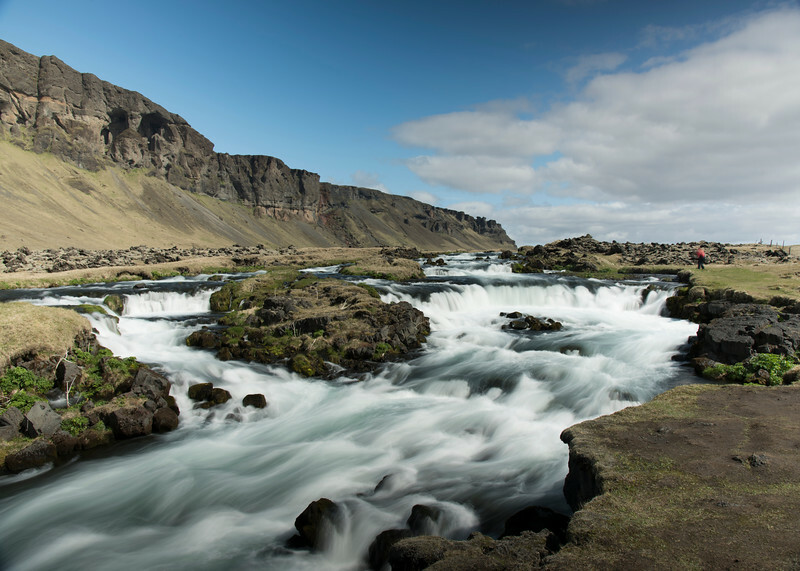 Hvita river in Iceland with Hraunfossar on the right.